Every year, Homeschool.com asks our readers to give their input in regards to their favorite homeschooling websites. We take this information, research the sites, and turn this raw information into a newsletter that we can share with our readers. As always, most of the recommended sites are free—but a few commercial sites are spattered in as well—they are just too good to omit—and our readers did recommend them. 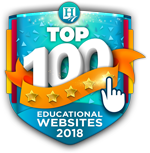 Hope you enjoy our Top 100 Educational Websites for 2014! Time4Learning Now Offers Preschool to 12th Grade!! 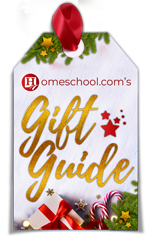 Whether you’re a first time homeschooler or a seasoned veteran, Time4Learning’s unique combination of interactive curriculum, teaching tools, parent resources and family-focused support sets it apart from the “one-box-fits-all” homeschooling curriculum! Not only does Time4Learning offer a homeschool curriculum for prek-12th that correlates to state standards—it also provides an entire online learning system that teaches the materials (in a secure, ad free environment), reinforces concepts, tracks progress, and keeps printable reports perfect for record keeping & portfolio usage! With Time4Learning, you’ll get 24/7 access to a year’s worth of materials, so your family can begin at any time and use the curriculum however you see fit. Time4Learning requires no contracts and includes a 14-day money back guarantee, so there’s no risk in trying it! Visit Time4Learning to browse their curriculum, try the demos, or read parent reviews. Pre-K—12 educational resources and activities. A staple in the news industry. This is a Scholastic site which offers nonfictional content targeted for Grades 3 and up. Users can choose elementary, middle and high school interfaces for over 120,000 articles, over 340,000 editor vetted web links, and over 1,100 world newspapers in 73 languages representing 195 countries. This is a fee site—a free trial is available. The word of the day, the news, lesson plans, a blog, and so much MORE! For kids Pre-K—5th Grade. More than 900 weekly Learning Units (Pathways), in a variety of subject areas. 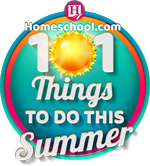 Easy to use curriculum or use as a supplement to your current homeschool program. This is a free site. Another favorite among our readers—this site is your one stop “file cabinet” for standards based K-6 materials—with over 14,000 items. The resources spiral, building upon previously learned skills. This is a subscription site—but the cost is just $37/year. Homeschool.com reader Karen writes, “This is an EXCELLENT site. My daughter uses it all the time.” Homeschool.com reader Mary Jo loves it too—calling it a “lifesaver”! Recommended by many Homeschool.com readers, Enchanted Learning has over 35,000 pages of educational materials. Free Sample pages are available. This is a subscription site—$20/year. This site offers a “complete learning eco-system”, for kids K-8, with free and paid for classes in math, reading, writing, language, and more. If you choose the paid version, it’s $79 for 12 months. Free online educational videos, lessons, quizzes, games and puzzles, covering the subjects of math, science, social studies, history and so much more. For Grades K-12. Free web-based platform designed for K-12 students. Thousands of online learning activities in a variety of subjects including math, language, science, art & music, technology, plus much, much more. Free, high quality, dynamic, digital content. Student, parent and teacher resources. Recommended by many Homeschool.com parents. Free parent and teacher resources, and many lesson plans covering the subjects of math, history, languages, art, geography, and more. For Pre-Schoolers to Grade 12—great for U.S. students as well! Started by a homeschooling Mom. Contains free lessons on the topics of history, handwriting, math, science, art, English, and more. Recommended by many homeschool.com readers. Quizlet is a free website providing learning tools for students. All of the material is user-generated. Interactive lessons on the topics of science/nature, history/culture, art, and people/places. GeoGebra is free and multi-platform dynamic mathematics software for all levels of education. It joins geometry, algebra, tables, graphing, statistics and calculus. DreamBox combines a rigorous math curriculum with fun online lessons that intelligently adjust to the way your child learns. And with the Parent’s Dashboard, you can always monitor progress. This is a subscription site—$12.95/month. Free trials are available. A collection of lessons, calculators, and worksheets created to assist students. Lessons cover key algebra topics. Their equation calculator shows the right answer and a step-by-step solution. Over the years, algebrahelp.com has helped students solve over 15 million equations! This is a free site. This is a free site from Scholastic.com. Through real world examples presented in a multimedia format, StudyJams helps students understand the underlying concepts of math and science so they are better able to solve individual problems. For Grades 3-8. A site where kids can practice math & English. Recommended by many Homeschool.com readers. This is a subscription site—$9.95/month. Nasa.gov is a great site, for students K and above and includes educational programs, Nasa e-clips, podcasts, and MORE. Starchild is geared toward a younger audience interested in learning about “space stuff”. Both sites are free of charge. Recommended by MANY Homeschool.com readers! K—12th Grade curriculums—$37/month for K—8 and $57 per month for the expanded 9—12th Grade material. The site offers a free homeschool science guide with over 30 fun activities. Free website, built by teachers, for teachers, for the purpose of sharing science based learning activities. Recommended by many homeschool.com readers. Complete science curriculum for K-2nd. Over 350 animated activities, printable worksheets and hands-on project ideas. Automated student reports track progress. This site charges $7.95/month. Covers the topics of life, earth, space, chemical, physical science and more. Study units, science videos, science picture of the day and so much more. Many free items on the site, and a paid subscription is just $20/year. This is a new site for our Top 100 this year—and it made the Top Ten! You can download all of the lessons from Middle School Chemistry for free. Middle School Chemistry is a resource of guided, inquiry-based lesson plans that covers basic chemistry concepts, along with the process of scientific investigation. This is a free site with over 1,000 science fair project ideas in more than 30 different areas of science. Great for home experiments too. Where kids learn about matter, atoms, elements, the periodic table, reactions and biochemistry. The site links to cosmos4kids.com, biology4kids.com, geography4kids.com and physics4kids.com. Free site for ages 0-5. Time4Writing offers free writing resources, and 8 week writing courses for 2nd-12th Grade, taught online by certified teachers. Courses offer one-on-one instruction and personalized feedback in a student-paced environment. From the basics of grammar to writing an essay for the SAT, Time4Writing is designed to help students master the art of writing at all levels. Courses are $119 each, and start daily. Starfall is a free site that provides a systematic phonics approach, in conjunction with phonemic awareness practice for kids Pre-School—2nd Grade. Over 42,000 free e-books to download to your PC, Kindle, Android, iOS or other portable device. Recommended by many Homeschool.com parents. A website that features literature and stories about homeschoolers, plus lesson plans. The website offers many free resources including podcasts, daily writing tips, exercises to try at home with your children, a forum where you can post questions, plus much more. In addition, the website sells a variety of products. A favorite among Homeschool.com readers – SpellingCity is a free website offering a fun way to turn any word list into spelling, vocabulary, and writing practice. Premium games and advanced features are also available for only $29.99/year—and that’s for up to five children. Free and subscription material. Annual subscription rates start at $40/year—this site can be the principal teaching tool for lessons in English grammar. Free language education in Spanish, English, French, German, Portuguese and Italian. Wonderful content, amazing pictures—and who doesn’t like the National Geographic? Plus, it’s a free site! The all-things-gifted site, full of resources, articles, books and links to help and support parents, teachers, and gifted children alike. This is a free site. Everything you need to know about homeschooling a gifted child! A family membership is $24/year. Teaching and learning resources for students with special needs and with learning disabilities. Math, reading, writing and more. Free online curriculum. Recommended by numerous Homeschool.com readers. A learning cooperative site—a site where one can collect and borrow teaching tools. Subjects include math, language arts, science and more. Free Pre-School lesson plans, educational early childhood activities, printable crafts, worksheets, and other resources for children of preschool age. A site for mothers and teachers to submit their ideas—YouTube videos demonstrate the lessons. For toddlers, Pre-Schoolers and kids in Grade 1. Students choose from online, PDF, iPhone or paperback options for textbooks. An entire website devoted to homeschooling high school students. Free information as well as items to purchase. A site designed to encourage you, point you to homeschool-friendly colleges and universities, link you to high school/homeschool bloggers, and create a community for both parents and students. 1000+ college courses with video tutorials. Free, open educational content—high quality university-level educational materials. These materials often include course planning materials and evaluation tools as well as thematic content. Free, high-quality, multimedia content on general education subjects such as algebra, calculus, physics, statistics, U.S. history, biology and more. This free site offers educational resources available for home schooling and supplemental education for kids Pre-School through High School and beyond. Subjects include math, science, social studies, English and more. Great array of games including math games, reading games, and games for both kids and parents to play. One of the sites recommended by Homeschool.com reader Alicia. Hundreds of educational games and activities. This site has math fact worksheets, place value problems, addition without carrying, subtraction without borrowing, suites of multiplication tests using various methodologies, fractions and more. Teacher resources, lesson plans, worksheets and activities. Art lessons for kids K — 6. Recommended by many Homeschool.com readers. Homeschool art and music plans, written by Barb. Read how she includes art, music appreciation, and nature study in her children’s educational programs. Free, and items for purchase are available on the site. The Crafty Classroom is a website entirely dedicated to crafts you can use in your classroom. 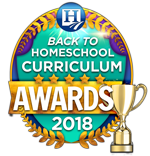 A top ten among Homeschool.com readers—this site provides homeschool reviews of core curricula plus so much more! Free digital magazine available at www.TOSMagazine.com or on mobile apps at www.TOSApps.com. Recommended by many Homeschool.com readers. Many minds make light work—a site where homeschoolers can submit and share their lessons. Where homeschoolers share resources they have written. A guide to Classical education at home. Recommended by many Homeschool.com readers. Free curriculum guide, living books, narration/dictation ideas, CM Organizer, and more. A blog about self-directed, learner-centered education. 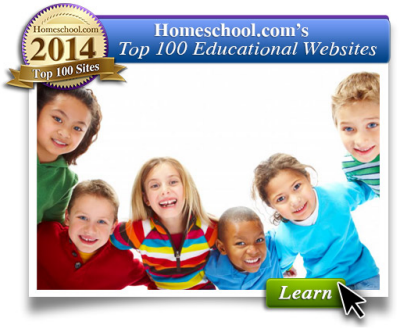 Many Homeschool.com readers named this site as one of their go-to websites. Learn what unschooling is all about…and get the resources to support it! Homeschool resources, reviews, articles, and more. A content sharing service that allows members to “pin” images, videos and other objects to their pinboard. Great as an inspirational tool. Hundreds of thousands of educational videos. Great source for just about anything and everything. Plus Free Kindle CK-12 Foundation Textbooks! Homeschool.com’s Guest Blogger program offers Homeschool.com readers a variety of interesting viewpoints. If you’re interested in becoming a Guest Blogger for Homeschool.com, e-mail [email protected]. Homeschool Mom blog with free printables, curriculum, and more! This site is the creation of Carolyn Morrison and her daughter, Jennifer. Carolyn spent 11 years homeschooling her two children, from elementary to high school graduation and college admission. Her blog posts are informative and fun. Written by an entire family of Christian homeschoolers (including Hodgepodge Nana), this website is colorful and educational. Free power-point presentations as well as products available for purchase. Free homeschool curricula, literature and text books. Subjects include history, religion, economics, science & nature, and more. Fun site for everyone. Topics include engineering, environmental science, forces of nature, innovation, and more. Lesson plans based on movies and films, such as The Sound of Music, Diary of Anne Frank, Mulan, and more. Teach With Movies provides the curriculum materials but not the movies themselves. 350+ guides—this was a subscription site and is now free. A free and fun colorful website with animation and games introducing touch typing to children ages 7 to 11. Thousands of children’s songs, lyrics, sound clips, and teaching suggestions. Songs about science, mathematics, social studies, the fine arts, life skills and more. You can listen to the songs online for free or purchase songs that you like. Thousands of families have already recommended Time4Learning because of its ease of use, quality of lessons and the can-do attitude it promotes toward learning. Time4Learning can open doors in a way that other methods can’t— by creating an interactive learning experience that engages kids, brings material to life and makes learning fun! Read Time4Learning reviews, written by parents who use their program or browse their curriculum to see what’s available. Top Educational Websites for 2014!